David Baldacci published his first novel, Absolute Power, in 1996. A major motion picture adaptation followed, with Clint Eastwood as its director and star. In total, David has published 30 novels for adults; all have been national and international bestsellers, and several have been adapted for film and television. His novels have been translated into more than 45 languages and sold in more than 80 countries; over 110 million copies are in print worldwide. David has also published five novels for younger readers, including the #1 bestseller The Finisher, which is in development for feature film, and its #1 bestselling sequel, The Keeper. Will Robie is the government’s most professional, disciplined, and lethal assassin. He infiltrates the most hostile countries in the world, defeats our enemies’ advanced security measures, and eliminates threats before they ever reach our shores. 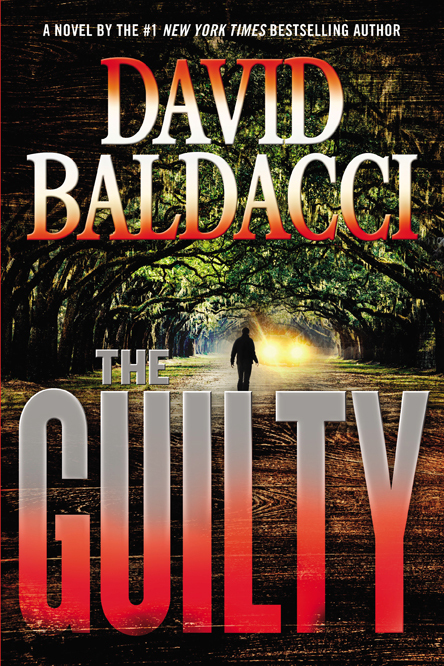 But now, in David Baldacci’s exhilarating new thriller, THE GUILTY (Grand Central Publishing; $28 Hardcover; November 17, 2015), his skills have left him. Sent overseas on a critical assignment, he fails when unable to pull the trigger. Suddenly, Robie is a man without a mission, and without a purpose. To recover what he has lost, Robie must confront what he has tried to forget for over twenty years: his own past. Will Robie escaped his small Gulf Coast hometown of Cantrell, Mississippi after high school, severing all personal ties, and never looked back. Not until the unimaginable occurs—his father, Dan Robie, has been arrested and charged with murder. Father and son have not spoken or seen each other since the day Robie left town. In that time, Dan Robie—a local attorney and pillar of the community—has been elected town judge. Despite this, most of Cantrell is aligned against him. Dan’s guilt is assumed. To make matters worse, Dan has refused to do anything to defend himself, and when Robie tries to help, his father responds only with anger and defiance. Could Dan really be guilty? With the equally formidable Jessica Reel at his side, Robie ignores his father’s wishes and begins his own desperate investigation into the case. But Robie is now a stranger to his hometown, an outsider, a man who has forsaken his past and his family. His attempts to save his father are met with distrust, skepticism, and even violence. Unlike the missions Robie undertook in the service of his country, where his target was clearly defined, digging into his father’s case only reveals more questions. Robie is drawn into the hidden underside of Cantrell, where he must face the unexpected and possibly deadly consequences of the long-ago choices made by father and son. And this time, there may be no escape for either of them.